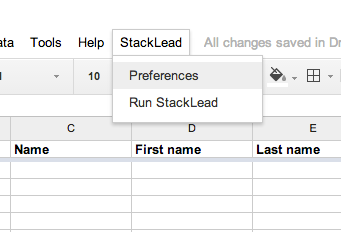 Update: StackLead spreadsheet research is now available in the official Google Add-on store. Please read our updated guide here. After collecting a bunch of emails during a big launch or conference, we’re often left wondering “who are these people?” and “what’s the best way to get in touch?”. Buying a list of email addresses or a lead database presents a similar challenge. The easiest next step is to create a generic email campaign and get the average 2-3% click rate. Since we launched StackLead on GrowthHackers and Hacker News, we’ve spoken with many salespeople and growth hackers with lists of email addresses that they want to contact, but don’t have a scalable way to personalize their outreach. Rapportive works well for understanding someone you’re about to contact, but can’t support researching and prioritizing hundreds or thousands of leads. 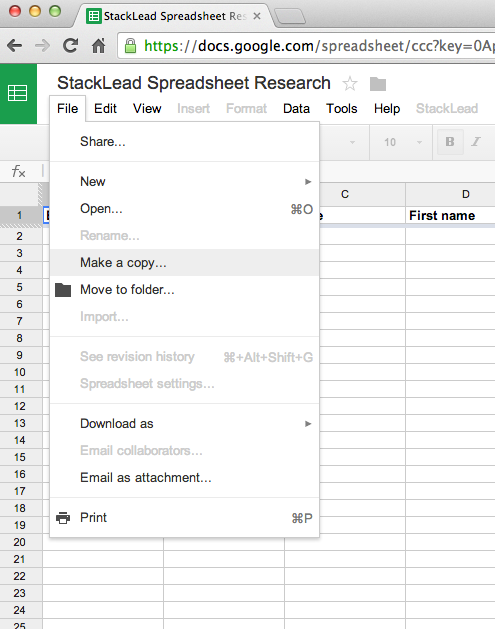 1) Open this Google Spreadsheet and click “Make a copy…” under the “File” menu. 2) Copy and paste the list of email addresses you want to research into the “Email” column. 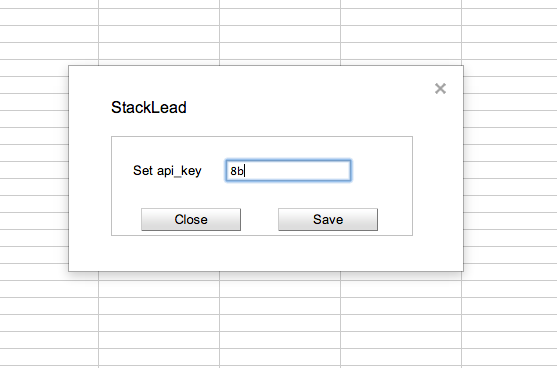 3) If you don’t already have a StackLead account, register and copy your API key. 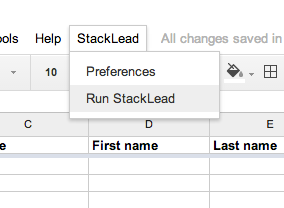 Back in the spreadsheet, click “Preferences” under the “StackLead” menu. You’ll be required to authorize the spreadsheet so that we can fill in the research data. If you’re having issues, please try logging out and logging back in with the correct Google Drive account (shown at the top right of the page). And then you’ll be able to paste in your API key. 4) Click “Run StackLead” under the “StackLead” menu. 5) Wait for us to fill in the StackLead research data (we’ll mark processing or finished addresses in orange). Note that this last step might take a few minutes depending on whether or not we’ve seen the email address(es) before. If you’re researching up to a thousand emails, it’s best to check back in 4-6 hours. For larger jobs or other custom requirements, please reach out at team@stacklead.com. Enjoy email spreadsheet research powered by StackLead. We’ll follow-up soon with a post on some useful ways to use this research data. Please let us know how we can help your sales process in the comments (or get in touch on Twitter). Hey Chris. Thanks for reaching out. Our founding team worked in payments previously and data security is very important to us. Our terms are listed on our website and we do not share or sell your customers’ email addresses. 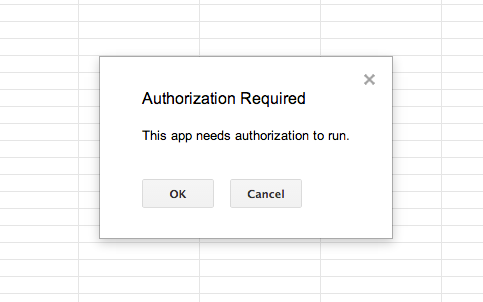 Unfortunately, the Google Sheet script does not allow us to configure the permissions to update your spreadsheet. We’re working on a different integration (a Sheet “Add-on”) that will have different permissions. You can also contact us at team [at] stacklead.com and we’re happy to process CSV or Excel spreadsheets. Does auth’ing you into my drive account give you access to my drive files? No – we can only access the spreadsheet you create with the tool. Looks great, but can’t seem to get it to work following the above guide (probably being dumb!). I just get Docs OAuth pop-ups and never the ‘set api key’ pop-up? Hey Will. Sorry to hear that! I just confirmed that everything’s working correctly. After you allow the Google Drive permissions, can you click on “Preferences” under “StackLead”? It could also be a browser hiccup and you might want to logout and then back into Google Drive. For what % of contacts can you usually locate social media accounts? I tried on a very short list (10) that I happened to have handy and only found one Twitter account for example. Is that about par for Twitter. LinkedIN was better with three results for the 10 emails. Just curious what the expectation should be, more or less. Thanks for the note, Hans. The match rate for social media accounts really varies depending on your customer base. We did see a lower than expected match rate for your test. One thing to keep in mind is that for business emails, we’ve optimized for finding business information, rather than personal social media accounts.